At last the day has come, with all the preparations complete, the cards, gifts and other creative endeavours put aside. Now comes the time to enjoy the celebrations and appreciate all that we have. There are so many wonderful gifts in my life that I could mention today, alas I will keep this short and give thanks to all that have come in or touched my life, you are what makes the experience colourful and real. May peace, love and hope fill your days. As the Christmas crafting season has come to a close, my mind is already working on the busy birthday months ahead. 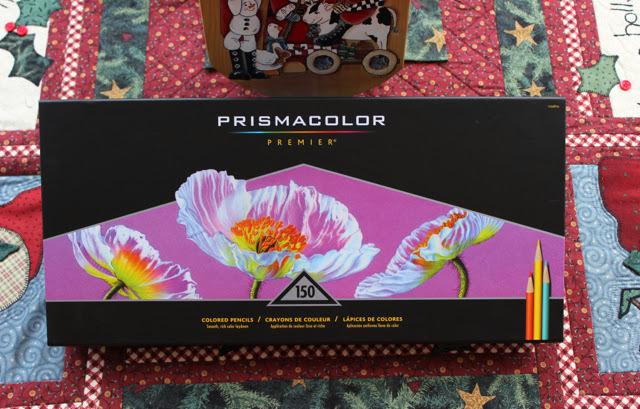 I am super excited to give my new and exciting Christmas present a try. 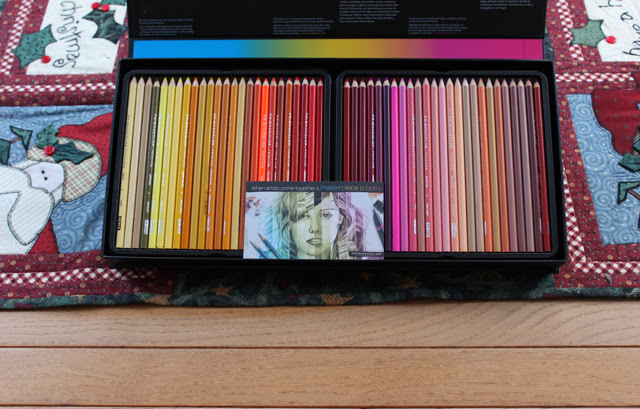 I received a full set of Prisma coloured pencils, at first I thought I would use them along side my Copics, although after seeing what can be done with the coloured pencils I figured I would like to give them an try on there own. It is my hope that I can add a bit more realism to my projects and get the depth that I am looking for. Furthermore I have notice the increase of coloured pencil painting throughout the blogs that I visit and I am very encouraged with the results that I am seeing. As for other very exciting news, I purchased a new camera after receiving some Christmas money. I am now the proud owner of the Canon Rebel T3I. Although I have only used point and shoot cameras or my IPhone I am quickly learning the settings and functions of this new baby. I am hopeful that my new photos will increase the quality of my blog and allow me to participate on some design teams in the future.